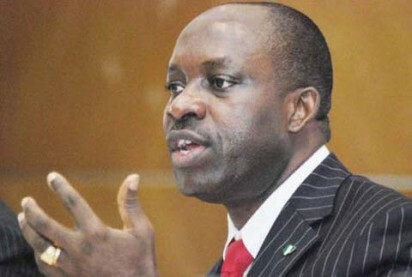 Professor Charles Soludo, former governor of Central Bank of Nigeria has bewailed over the dilapidated state of Nigeria, thus states that Nigeria is drifting to a failed state having been in the “Red Beaming Alert” position in the global index. He said that Nigeria has never been more divided than now, as we experience fall in Nigeria economic growth. Soludo who spoke on Tuesday in Abuja at a meeting with few Igbo leaders under the ambience of Nzuko Umunna ‘Elders Gathering’, condemned the planned trial which he called ‘secret’ of Nnamdi Kanu, leader of Indigenous People of Biafra (IPOB), perhaps demanded his immediate and unconditional release. He reiterated that the continued detention of Kanu is unacceptable and an abuse IPOB leader’s right to legitimate agitation. The meeting he said is for the social, political, economical and otherwise development of Igbo people and Nigeria at large. Pointing at the Nigeria potentials he said “We believe that Nigeria has all the potentials to be great and one of the most prosperous nations on earth. Like most countries of the world, it has its own internal contradictions, challenges of national cohesion and development. On this view he moaned that every country that has endured and prospered has devised a dynamic system for dealing with its internal contradictions. The failure to deal with our economic challenges has reduced Nigeria to a mire nation without security strength to protect her children. “Nigerian has never been more divided than now, with the agitations for self-determination becoming more strident and desperate. He said. Failed/Fragile State Index to 17th position in 2014 and now to a dangerous 13th position in 2016 (under the ‘Red Alert’ category of countries),” Soludo said.